Used 2013 Chevrolet Corvette 427 60th Anniversary for Sale in Denver CO 80220 Weisco Motorcars, LTD. 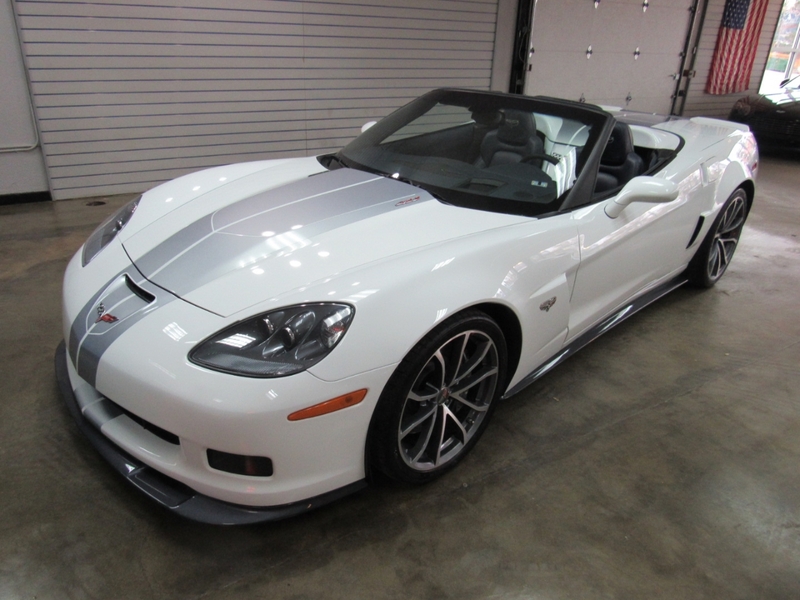 Very hard to find ONE OWNER 2013 60th anniversary 427 Corvette convertible with only 29k miles. 2013 was the only year for the C6 to get the LS7 ZO6 motor in a convertible and put out 500HP with a 6-speed manual transmission. For 2013 Chevy only made 2,552 of the 60th anniversary Corvette and they all came with carbon fiber hood, fenders and floor panels and 427 hood badges and 60th anniversary badges. Done in Arctic White with Blue Diamond leather-wrapped interior and blue top (convertibles); special badging; optional stripe package; 60th logo gauge cluster and sill plates. This car will hold its value well as they are hard to find and look and sound so good in person a true must see. Both the inside and outside are in like new shape with no chips and no wear and ready for the new owner to have fun with. This car did place 3rd in an all Corvette show with over 50+ C6 Corvettes in the same class so you can tell how well the owner cared for this Corvette as it was keep in the garage all its life. Call Weisco Motorcars for more info or to set up a time to stop by for a look over this Corvette.